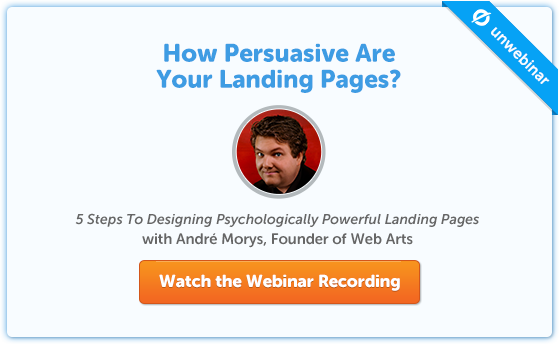 This model will help you create landing pages that drive your buyer persona wild. Image source. The thing about buyer personas is that they can easily feel speculative. Ever guessed at what kind of yogurt your target persona likes? If you answered “yes,” then you may understandably feel that they’re a flat out waste of time. But in our latest webinar, André Morys (CEO of the largest CRO agency in the world) shared a more scientific approach to creating buyer personas and corresponding landing pages. In the webinar, André explained how he combined neuroscience, psychology and an MRI scanner (!) to develop a process that will help you level up your landing page optimization game – in a pretty big way. So put your mood board away. Then, get comfy and watch the webinar recording here – or read on for a sneak peek of the process. André explained that if you want your buyer personas to count, you have to look beyond the basics (as in, what kind of yogurt they like) – to their core values and emotions. Click for larger image. Image source. Created with the help of psychologists, the limbic map provides a framework for identifying the values and emotions that resonate most strongly with your target audience. After you’ve researched the basics of your buyer personas, André recommended getting together a group of people who work closely with your target audience – from your sales team to customer support to the audience members themselves. Print the limbic map out and ask each person to place a sticker on the value they think resonates most with the persona. If you’ve put together a solid team, you’ll find that many of the stickers overlap – and you’ll begin to piece together a hypothesis about the emotional makeup of your persona. Does your persona consider themselves outside of the mainstream? You may find that they value individualism and creativity. Do they see themselves as a trailblazer and the first to adopt new trends? They may value pride and status. What about a persona who opts for high-quality brands? They might care for values such as loyalty and security. Once you’ve found where your persona lies on the limbic map, pay attention to other values in the vicinity. These are values that may also be important to your prospects. Now that you’ve studied those values, it’s time to look further into your prospect’s psyche – into their motivations. Specifically, what motivates them to purchase. People don’t buy products; they buy a better version of themselves. In other words, what are the implicit reasons for using your product or service? Let’s refer back to our example personas above. Our first guy sees himself as unique and by extension, he’s likely to value products that contribute to that feeling. Our second guy likes to feel like he’s on the cutting edge of fashion and technology, and will opt for products that play into that. Finally, our third persona prioritizes function over form, and is more likely to buy a product that shows quality and craftsmanship. Now that you have a feel for what motivates them to buy, apply those learnings to your landing page. Each designer will have their own interpretation of what it means to represent “quality” or “uniqueness” – the trick is to start with a hypothesis and then validate it. Gut check your designs with user testing. Show volunteers your landing page design and ask them which of the values on the limbic map comes to mind first. Make changes to the design and copy until they point to the one you were aiming for. A/B test different designs with your target audience and let the data speak for itself. Or for bonus points, do both. André emphasized the importance of A/B testing all your improvements to not only validate your assumptions but to keep aligning your message and design with your prospects. No matter how many interviews you conduct – and no matter how you spin it – your persona is but a hypothesis. An educated guess, at best. But coupling personas with the limbic map and rigorous A/B testing is a powerful combination that incorporates both qualitative and quantitative data. Most importantly, it leads with the most important thing on your landing page: your prospect. 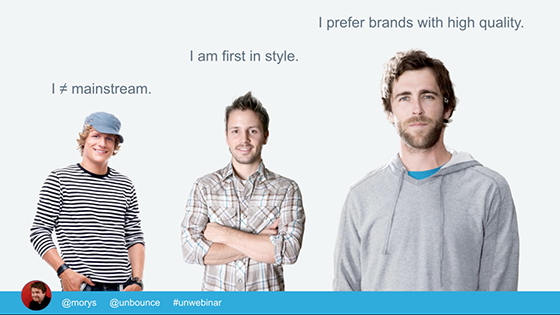 How do you evaluate your prospect’s emotions and translate them to your landing pages? Let us know in the comments!